MAM Introduces New Oral Care Range with Brushy the Bear – New Brushes Aim to Raise Awareness for Importance of Early Oral Care, Make Brushing Fun for Babies and Easy for Parents! Developed with input from 26 opinion leaders in 5 countries with various professional backgrounds related to oral care, the new MAM oral care line includes five products: MAM Oral Care Rabbit, MAM Massaging Brush, MAMTraining Brush, MAM Baby’s Brush and MAM Learn to Brush Set. MAM’s Brushy the Bear character appears in toothbrushing stories that are available in several formats including on a special free MAM toothbrushing app “MAMBrushy Time!”. 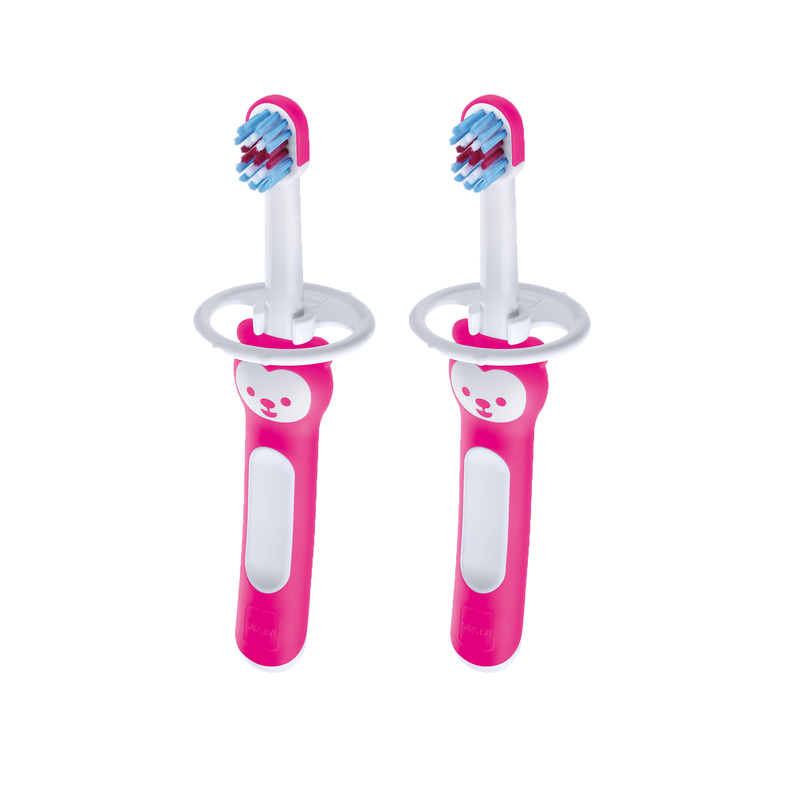 The MAM Baby’s Brush 2 pack and Learn to Brush Set is available now at Target stores. The complete MAM oral care collection will also be available on Amazon.